Alpaca Avenue | Summer happenings! Spring finally came and Summer officially starts on June 21. it looks like we will have a mix of weather conditions and I hope that you have a wonderful Summer whatever the weather:) I thought I would try to send an email to all of you who have signed up on the website but I found it a bit too challenging and will stick to this blog and to Instagram and Facebook! I wanted to let you know that I am at the shop on Martin Grove on Tuesday, Wednesday and Thursday during the Summer from 11-5 and welcome your visits there. I also have listed quite a lot of items on Etsy. I am very excited to be travelling to England soon for a long over-due sibling reunion! As a result the shop will be closed from June 15 to July 9th. I recently received an order of very special hand dyed yarn from Cusco, Peru. 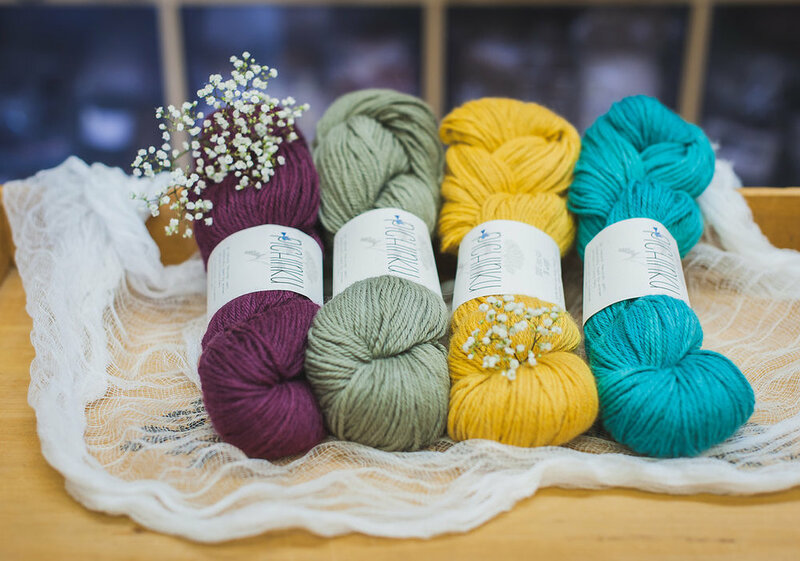 These yarns are incredibly soft and would make a beautiful gift! It is available in 4 colours in dk and worsted weight in my shop. Take a look at The Blair Shawl by Vanessa Coscarelli Black on Ravelry and Carmen Fingerless Mitts by Tessa Ranish O'Donnell. Both patterns have been designed specifically for this yarn. What are you hoping to work on this Summer? Are you interested in learning something new or you looking forward to having more time to do what you already love to do? I love to knit but I also enjoy a bit of spinning and dyeing:) The wool from St Joseph Island is a blend of Arcott, Suffolk and one other breed. It was spun at Master's Mill and I have had a lot of fun dyeing some of this and some alpaca/merino blended yarn from Legacy Lane with avocado pits, onion skins and dandelions! Maybe this is something you would enjoy? 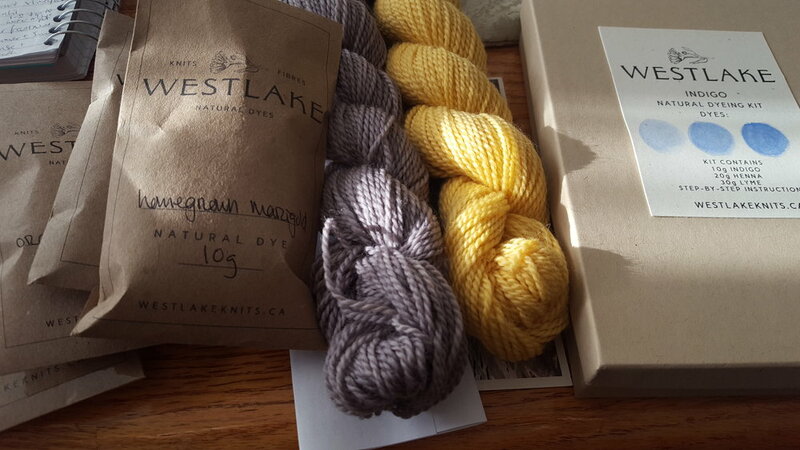 If you are interested in learning how to dye naturally, check out Westlake Knits for some ideas and support this local maker if you can. I get to meet some wonderful makers and I would love to introduce you to Carmen of My Knitted Horse and Friends. I bought this little camel from her:) The workmanship is impeccable.It is very sturdy and made to be enjoyed by kids of all ages! Do take the time to look at her Etsy shop for dinosaurs, elephants, horses and more!! Well there you have it.... make the most of every day! Make something:) Spend time with people and make memories! Come alongside someone who needs a friend and maybe even have some Candy Floss!! Have a wonder-full Summer!